Perhaps you’ve found yourself dreaming of heading to the Land Down Under — the Blue Mountains, Uluru, the Great Barrier Reef, kangaroos in the wild, Bondi Beach. Few destinations can match the draw of Australia. Aside from being home to some of the world’s most stunning natural landscapes, Australia has a generally pleasant climate and laidback lifestyle. A once-in-a-lifetime trip to Australia features on plenty of people’s bucket lists. However, why not go one better and consider relocating to this incredible country? Australia regularly features high on lists of the best places to live and work across the globe for good reason. The country has a low crime rate, excellent healthcare and education for all citizens, and great infrastructure. More importantly, it is also particularly multicultural and welcoming of newcomers. While Australia is very open to foreign nationals coming to the country to work, there are some strict rules to follow. You will also need plenty of time and patience to make the arrangements. Working in Australia is not an automatic right unless you are already a permanent resident or citizen. To work in Australia, you need a valid Australian visa with work rights. There are currently three types of long-term working visas for Australia. Skilled Independent Visa – this is awarded based on a points-based system. It allows you to enter the country without a job already in place, but you must meet strict criteria to receive one. Employer Nominated Visa – this is when your visa will be arranged through an Australian employer. Skilled Nominated Visa – this is for points-tested skilled workers looking to live in a particular state or territory. This is a temporary four-year visa. However, after living and working in Australia, you will be eligible for a permanent visa. To be eligible for a Skilled Independent Visa or Skilled Nominated Visa, your line of work must appear on the Australian government’s Skilled Occupations List. This list is regularly updated and includes many professions. Examples may include engineers, medical professionals, teachers and technicians, amongst many others. As well as having a listed occupation, you will need to demonstrate competence and experience to be awarded a visa. This is done through a points-based assessment. You will be scored points according to your age, training and education, work experience and your English language ability. You will need to have at least the minimum points to be considered for a visa. The International English Language Testing System (IELTS) exam is commonly part of the Skilled Visa application. An immigration consultant can advise you regarding this part of the process. You will need to complete the right application form carefully, concisely and honestly. If you are given deadlines for submitting documentation, you will need to adhere to them. For a less stressful process, an immigration consultancy can compile and submit your skills assessment on your behalf. Their collective knowledge and experience means they can navigate the complex process of obtaining an Australian working visa more easily than an individual applicant. Applying for an Australian working visa can take several months. It can also be a daunting and sometimes confusing experience. However, a new life in Australia is well worth the effort. 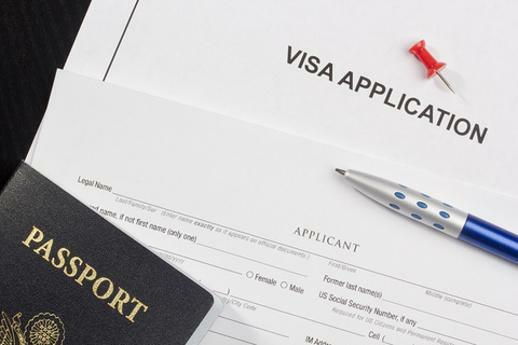 Remember, professional immigration consultants can help you out with the paperwork, so it needn’t become a headache. This way, you’ll have more time to prepare for your new life. For instance, you can prepare possessions and make a great start by researching possible recruiters and employers. With the right Australian immigration partner, you can definitely look forward to your new life in the Land Down Under.